Every morning, whilst enjoying a lovely creamy caffè latte in one our local bars (they don’t use horrible low-fat milk here), I scan either La Nazione or Il Terreno newspapers for interesting snippets. 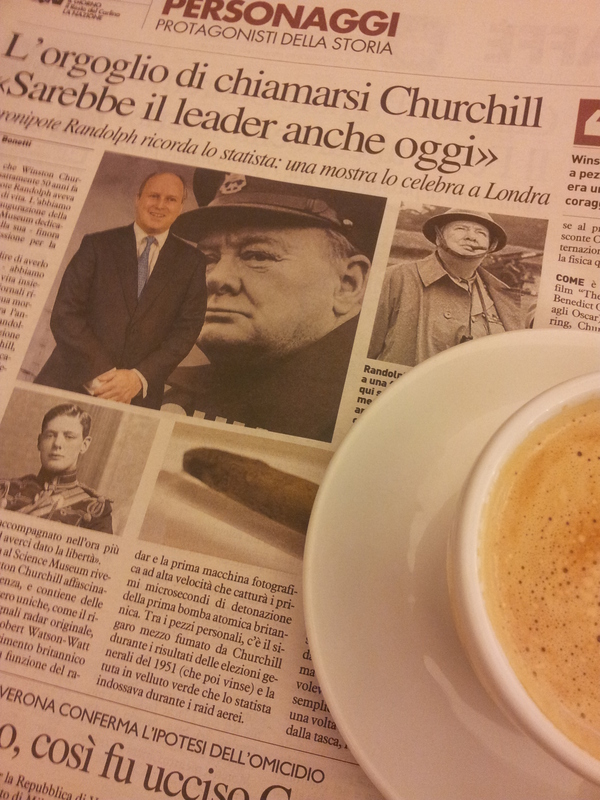 Yesterday, I was joined by Winston Churchill and today by Dante, well not literally of course, both being long gone. You may already know that this year is the fiftieth anniversary of good old Winston’s funeral and the Italians are treating this as important news. One thing you may not know is that my man, an ex Royal Marine Commando, was marching in the front row of the Marines’ contingent on the big day. He was very young, in full ceremonial uniform of course, blues, greatcoat and white pith helmet down over his eyes. If they happen to show the funeral on TV again, he was fourth in on the right as they march towards you. He has other claims to fame, however, I have mentioned this one as it is so very topical. Writing about Winston reminds me that I wanted to be a Secret Agent during the Second World War. Fortunately, I was born a few years after it finished! As a child in the 50’s I used to organise the children in our area to play ‘Germans and English’; I was always the covert spy. Co-incidentally, I am currently reading ‘Operation Garbo: The Personal Story of the Most Successful Spy of World War Two.’ What are you reading? 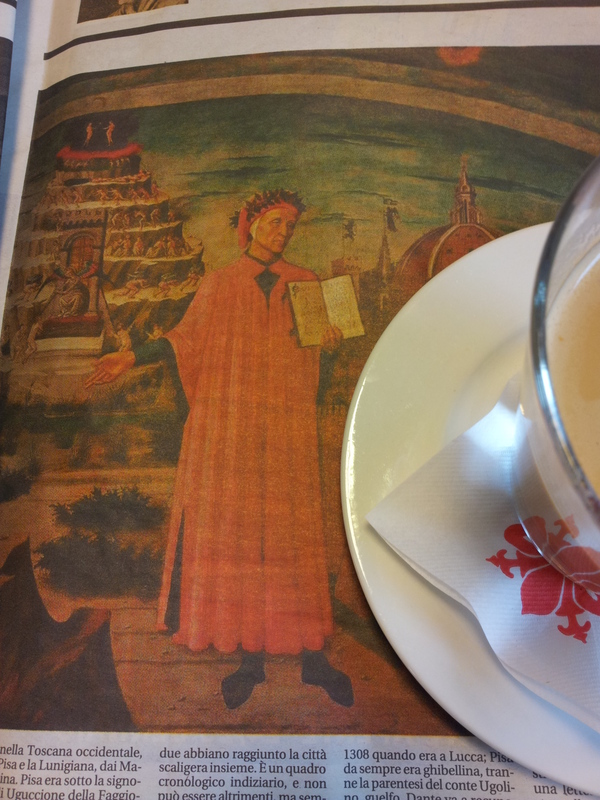 Now my other guest for coffee, was the great poet and writer Dante. Still looking good at the age of seven hundred and fifty, he’s a popular chappy here. He spent his life cruising between Pisa, Lucca, Pistoia and Carrara, amongst other Tuscan hangouts. There are currently lots of exhibitions and celebrations happening in the area. Laura with vibrant red hair and designer finger nails. 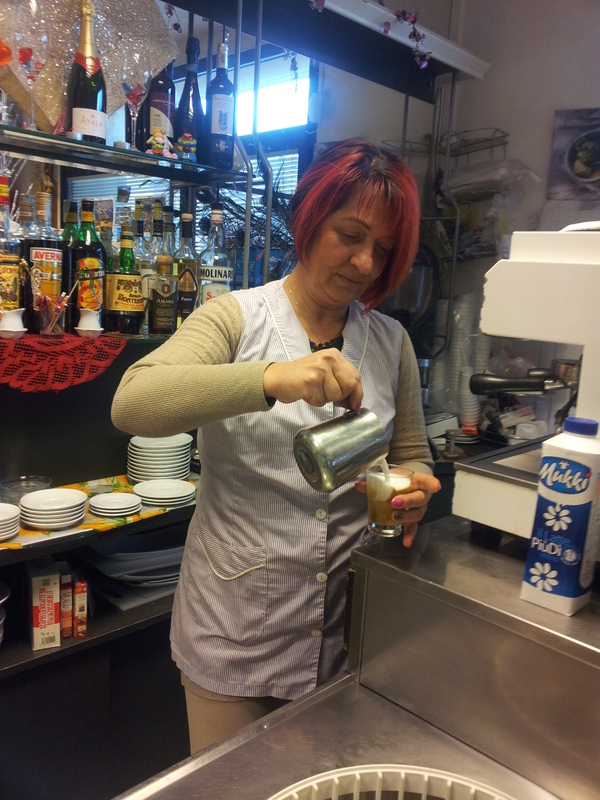 Meanwhile, back at Laura’s bar/alimentare, I notice that Laura is sporting very red hair. She says that her hairdresser added a special ingredient to make it more ‘brilliante’. She always has the most fantastic nail art too, I might go to see her nail lady and have fantastic nails for my next rock concert. Take a close look. 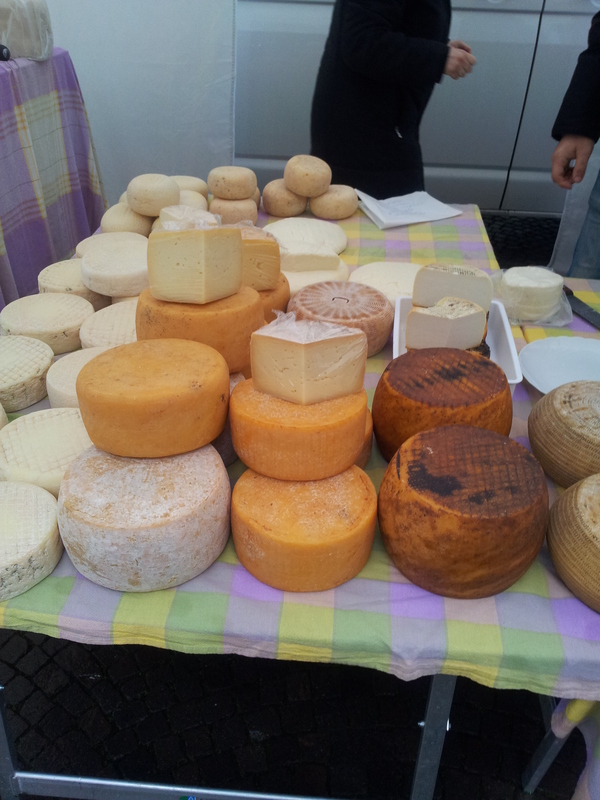 Down in Certaldo’s Saturday market, I go back to the lovely couple who produce the most fantastic Pecorino (sheep’s cheese) and Caprina (goat’s cheese). I have fallen completely in love with a very young pecorino, which is really soft, full of flavour and just melts in the mouth. Mmmm. Also, I have been devouring bottles of Sweet Red Onion marmalade which is a speciality in Certaldo. The two go really well together and are adding inches to my waistline! These, along with the local Chianti wine are the reason why I have to go on a diet soon, well fairly soon. I have mentioned that many businesses are closing down here. We have tried to buy a new kingsize bed locally, but found that an antique furniture warehouse and a bed outlet have both disappeared. Getting very frustrated, I went on-line, found exactly what I wanted in a number of UK stores, but they do not deliver overseas! If anyone has any good ideas, do let me know. Ideally within a an hours drive of Certaldo, Tuscany or on-line. (IKEA don’t do a kingsize..) Big sigh…. Well enough of that, must get on with final honing of my latest book ‘The Bolivian Connection,’ as I know you are all champing at the bit. You will also be pleased to know that Joanna Wilde (my heroine) has already started a new adventure in ‘The Italian Connection’, which I expect to publish early next year. I will update you on the gorgeous Silvio Berlusconi’s exploits next week. In the meantime have a really good week and do drop me a line.